How Does Comparative Negligence Work in Washington State? If you have been injured in an accident and are interested in filing a personal injury lawsuit to recover financial damages, it is important for you to understand how comparative negligence works in Washington State and how it could impact your case. We invite you to schedule a free consultation to discuss the details of your case in person, but in the meantime, it helps to gain an understanding of negligence and how it can influence your ability to recover financial damages. Each state has its own laws regarding negligence. In Washington, RCW 4.22.005 states that contributory fault applies. This means that both parties involved in an accident may be found responsible for what happened. Whether there were only two people involved or five, a percentage of fault may be assigned to each party involved. For example, if you were in a car accident, the driver who hit you could be responsible for the crash. However, if you were speeding, you could also be partially to blame. In another example, you could have been injured on someone’s property after falling down a stairwell that was in disrepair. However, if you were running down the stairs, you could be partially responsible for your fall and the resulting injuries. At trial, the jury will determine the percentage of fault assigned to each party and apply those percentages to the total financial compensation awarded. For example, if a jury values your claim at $50,000 and finds that you were 10 percent at fault, you would only receive $45,000. If they found you to be 40 percent at fault, you would only recover $30,000. Comparative negligence does not bar you from recovering financial damages, but someone else does need to be more at fault than you are. Your attorney’s job will be to reduce the amount of fault assigned to you. We do this by gathering evidence that can be used to demonstrate how the other party was negligent and therefore responsible for your accident and injuries. We will work to prove that you had very little to do with the accident, which will allow you to receive the most compensation possible. Simultaneously, the other side will be working to do the exact opposite. It is in the insurance company’s interest to prove that you are at least partially to blame so that they can reduce your compensation. You need an attorney on your side to keep things on equal legal footing. We invite you to schedule a consultation with our office so that you can learn more about comparative negligence and how it might apply to your case. We’ll provide you with a free case evaluation and give you an honest opinion of whether you have grounds for a claim and what it might be worth. 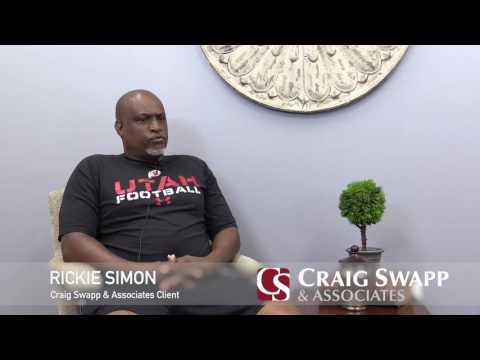 To speak with an attorney from Craig Swapp & Associates, simply complete the contact form on this page or call 1-800-404-9000.